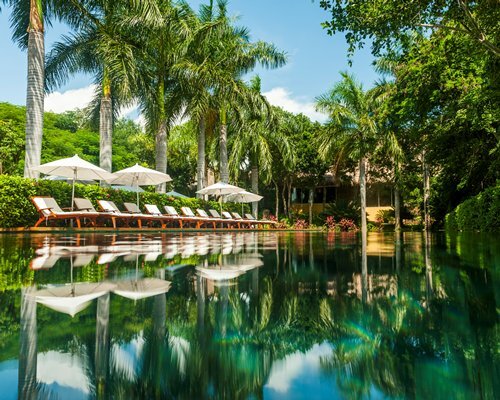 The resort offers a luxury spa, a professional 18-hole golf course, a FIFA-regulation soccer field, tennis, water polo, snorkeling, fitness center, volleyball, catamarans, windsurfing, 7 pools including one infinity pool. 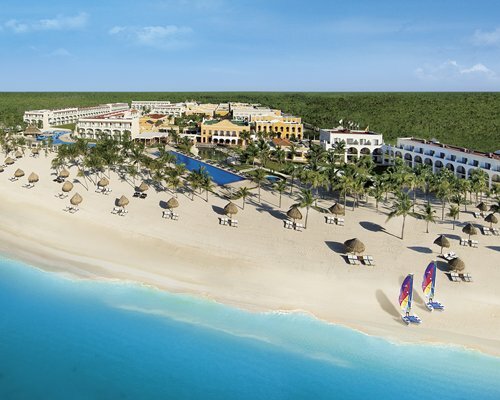 The resort offers 4 à la carte restaurants (Mexican, Japanese, Steakhouse and Gourmet), 1 full menu International buffet and 1 grill snack bar and 6 bars including 1 swim up bar. A Kids Club, ages 4-12 is available with extended hours. Enjoy live music, shows, dancing lessons, aerobics and theme parties. The resort offers 24 hour room service. Please note that some activities have a fee; examples include golf, scuba diving and spa. Also available for an additional cost; laundry services, beauty salon, babysitting, 24-hr on-call doctor, internet café and boutique shopping. 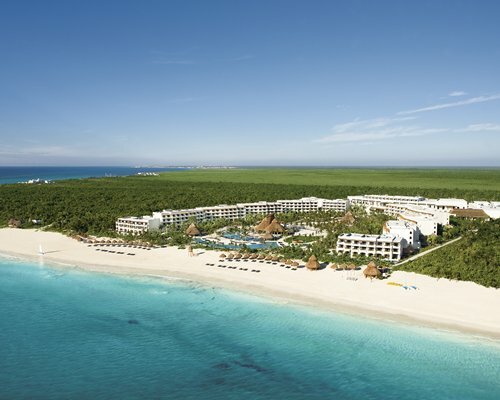 You will receive Iberostar Resort Coupons at check-in that provides savings on additional amenities and services not included within the AI package. Ocean View Standard Room (Hotel) 398 sq. ft. and Garden View Junior Suite (Studio) 624 sq. ft. offer AC, mini bar stocked daily with beer, soft drinks and bottled water. 24-hour room service. Flat screen TV, DVD player, alarm clock, digital safe, coffee maker, iron and ironing board and hair dryer, 398 sq. ft. 5 handicap rooms available. The Garden View Junior Suite (Studio) private balcony garden view, Star Prestige amenities and access to exclusive areas and garden hammocks. This unit type offers personalized mini-bar, daily turn down service, private pool access. 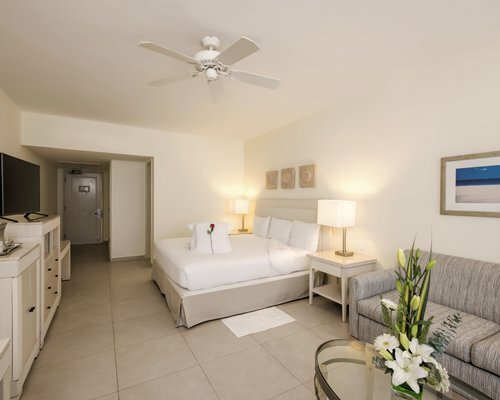 Both unit types offer complimentary access to Spa Sensations wet areas (adults only) and complimentary Wi-Fi and provide bathroom with vanity sink, bathrobes and shower. Units offer 2 queen beds or 1 king bed. Both Units: Maximum Occupancy = 2 adults + 2 children | 3 adults + 1 child | 4 adults - in existing beds. 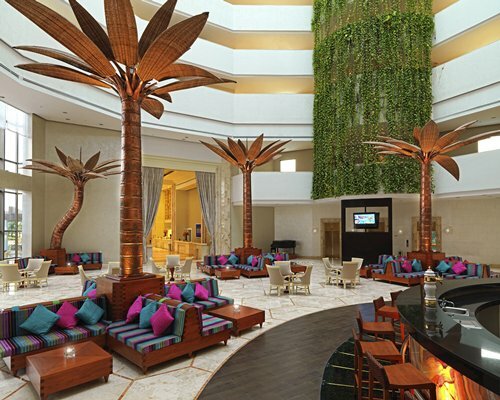 Conveniently situated just 15 minutes from the Cancún International Airport, our 5-star luxury hotel is easily accessible to major tourist attractions in the region such as archaeological sites, shops, restaurants, and entertainment spots. A shuttle service to/from airport is recommended.Exit the airport and continue right until the Cancún Hotel District overpass to Kukulcan Boulevard. Pass public beach Playa Delfines. After 10.6 total miles, you will see the hotel on the right side past the public beach. Mandatory 7 Day All Inclusive Program. Fees are per person, per night in double occupancy. 7 Night Minimum Stay required. Children 3-12 years old pay 50% off the Adult fees. A Single Occupancy (1 Adult traveling) Supplement of +50% per night applies. Third Adult in the same unit pays 20% off the regular Adult fees. *Different fees apply during the same week confirmed & will be charged daily according to each stay. *Gala Dinner for December 24th & 31st of US$66 per Adult & US$33 per Child. Lobster as well as special wine will be available to guests for an additional fee. The dressing code is formal or semi-formal. There is live music, countdown, and a beach party until 1 AM with fireworks. After 1 AM you can enjoy the disco. *EARLY BIRD BOOKINGS: EBB Fees vary and apply depending on the reservations booking dates. 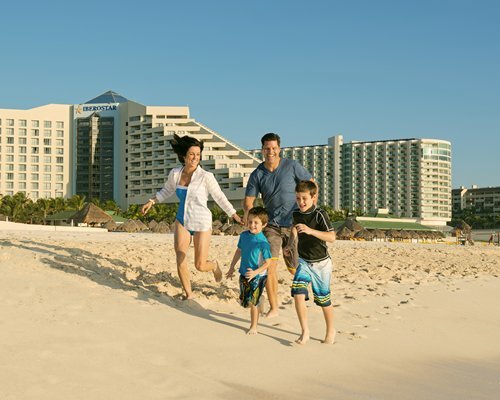 **All Inclusive Fees MUST be prepaid at least 15 days prior to the arrival date or the resort will NOT honor the reservation. You will be receiving a call to collect these fees or you can contact from USA & Canada 1-844-743-8601 or direct (52) 55-4125-5565. If you need to cancel a reservation, please call the numbers above within 8 days of the arrival date. Cancelling less than 8 days in advance will result in the all-inclusive fees paid to be FORFEITED/ NON-REFUNDABLE. Jan 06, 2020 - Jan 31, 2020 224.40 US Dollars (per Adult, per Day in a Hotel) 1st Winter EBB Fee is US$179.52 (Must be booked between 01/01/2018 to 09/15/2019). Jan 06, 2020 - Jan 31, 2020 273.90 US Dollars (per Adult, per Day in a Studio) 1st Winter EBB Fee is US$219.12 (Must be booked between 01/01/2018 to 09/15/2019). May 01, 2020 - Jun 15, 2020 203.50 US Dollars (per Adult, per Day in a Hotel) 1st Summer EBB Fee is US$162.80 (Must be booked between 01/01/2018 to 01/31/2020). 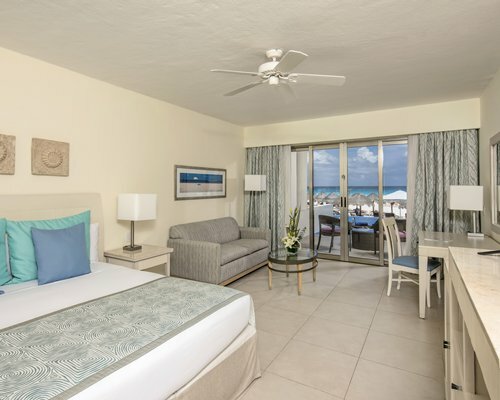 May 01, 2020 - Jun 15, 2020 253.00 US Dollars (per Adult, per Day in a Studio) 1st Summer EBB Fee is US$202.40 (Must be booked between 01/01/2018 to 01/31/2020). During March-April, 2018 and 2019, No Triple or Quadruple occupancies (Extra persons) in the unit will be allowed. 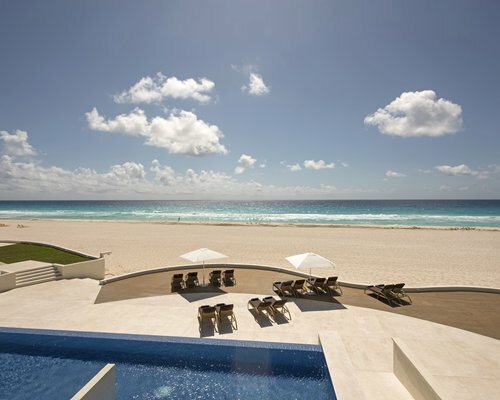 Your personal concierge will reach out to you prior to your vacation to answer any questions. 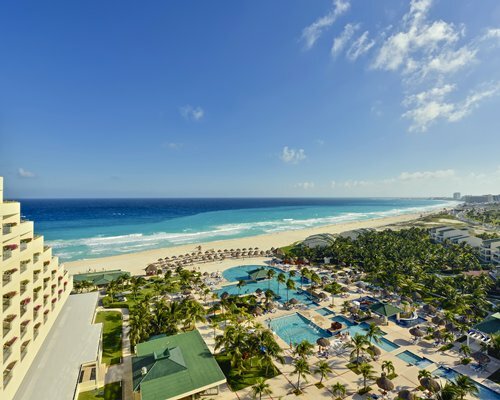 RCI members will receive Iberostar Resort Coupons at check-in that provides savings on additional amenities and services not included within the AI package. 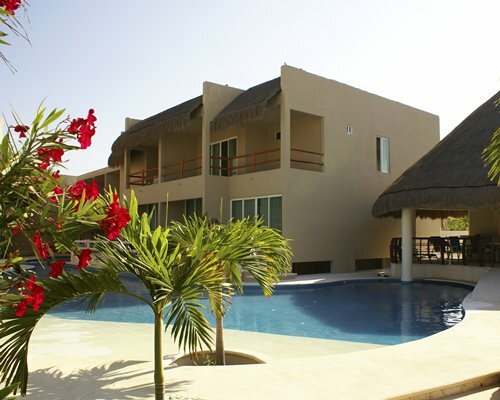 Transportation is not included however can be arranged and the resort offers handicapped units. Motorized sports are not included in the AI fee. Different room types/categories will not be in the same area of the resort. If needing multiple rooms and need to be near each other, it’s best to confirm same room types/categories.